Boracay was especially famous in the 90’s because of its beautifully fine white sand. But now, this small island’s shores are also known for its vibrant night life. When the sun sets, visitors and locals can party until dawn with the array of clubs and beachside parties that bloom in the dark. 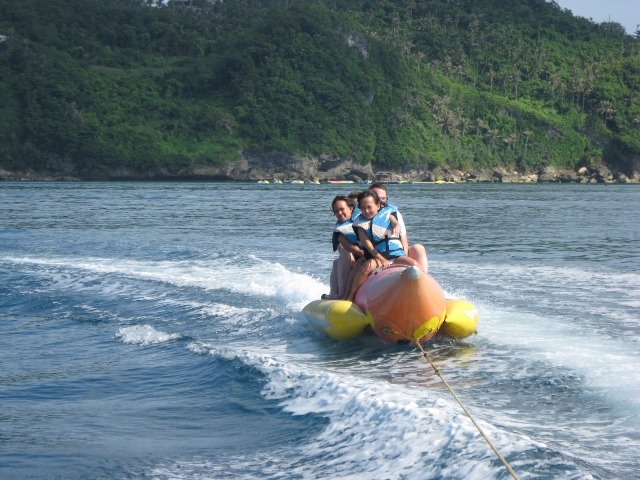 During the day, there are also fun activities to keep you busy like skiing, parasailing, and other water-sports to satisfy the daredevil in you. The island is actually just seven kilometers long, but it is packed with great bars, restaurants, and resorts who offer a unique island experience. You can opt to relax on the beach and enjoy the powdery white sand, or you can play golf at the Fairways Bluewater Country Club. You can try more adventurous options like windsurfing in Bulabog beach where an annual international festival for windsurfing is held every January. You can also look forward to dragon boat races regularly hosted in the island during the summer. It’s no secret that Boracay, Philippines is the place to be for beach parties and water sports, but there are also fun activities aside from these that you can probably enjoy just as much. One thing you can include in the itinerary is a visit to the caves in Boracay that are home to an amazing line-up of different bat species. You can also visit the Butterfly Garden, a small sanctuary where tropical butterflies live and thrive. Biking and hiking is another thing you can schedule, which could help you explore the island further and get fit at the same time. Boracay is one of the best places to visit in the Philippines, and its shores will always hold that allure that pulls in thousands of visitors annually. Flights can be easily booked at Manila or Cebu to Caticlan where you ride a boat to get to the island of Boracay. 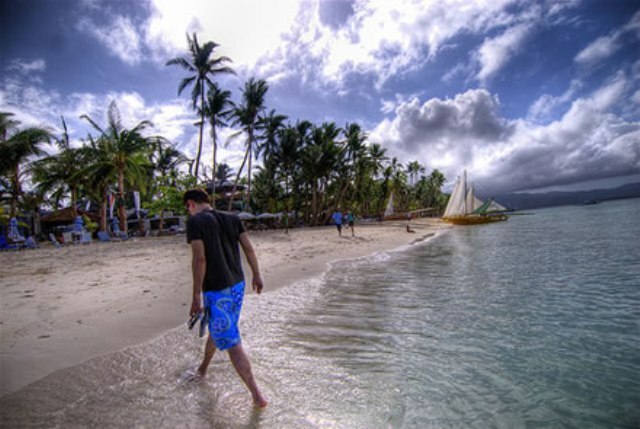 Boracay island in Aklan, Philippines is one of the most popular island-resorts in the world. Scattered around the island are 13 magnificent white sand beaches and one of them is the Lapuz-Lapuz Beach, a private Boracay white sand beach. Located at the northeast coast of Boracay, this beach is famous for its coves, caves and lush jungle that is home to giant fruit bats. The beach is known for its popular Bat Caves tours. Travelers also come in to enjoy the breeze, white sandy beach, snorkeling, off-shore scuba diving and other water sport activities. But what it is really known for is Fairways and Bluewater Boracay Golf Course and County Club, the only golf club in Boracay. This prestigious establishment is known all over the Philippines and internationally. Golfers enjoy 5-star accommodation while teeing along the lush, green 18-hole par-72 championship golf course. 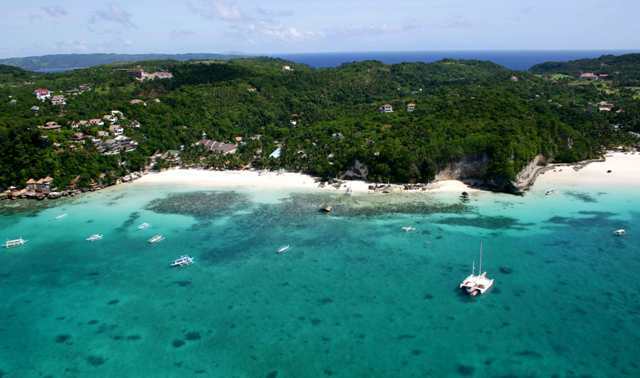 For about Php500 (USD11.30) to Php600 (USD14), tourists are treated to a leisurely tour across the jungles and beaches of Boracay on horseback. This may be too expensive for both local and foreign tourists for just an hour’s ride, but it is a worthwhile experience. The local guide can add a little extra fun to the ride as they typically engage their guests in a friendly and informative conversation about the island. 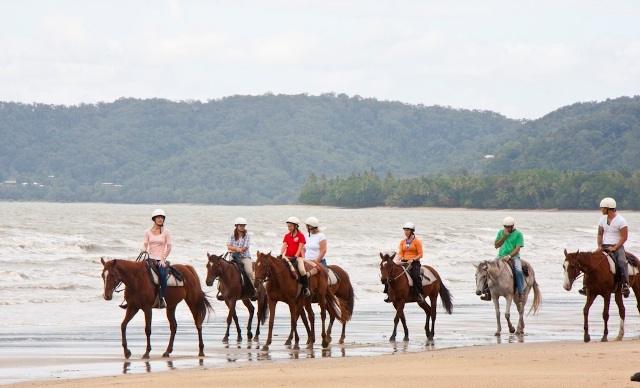 If you are an expert rider, the guides will even let you gallop away on your own. Manoc-Manoc Beach is one of the lesser known beaches in Boracay island, but it definitely has a lot to present to the eager tourist. Located at the southernmost end of the island of Boracay, this beach has lovely white sands with great water for swimming and snorkeling, and a beautiful view of Caticlan, Aklan. Visitors should come with a camera to capture the picturesque view of the hills and mountains. The view also promises beautiful sunsets and rainbows. The beach is busy with a long line of outrigger boats from the main island of Caticlan, Aklan, docking to unload provisions and supplies for resorts and shops in the island. Local vendors have also found their way along the shoreline selling water, snacks and fruit juice to tourists on a sightseeing trip or merely relaxing upon the sands. One of the most beautiful beaches in the world is Boracay, located in Aklan, Philippines. Besides snorkeling and diving, its picturesque landscapes, crystal clear water and pristine and powdery white sand beaches, Boracay is a perfect spot for boating and other water sports. Snorkeling in Boracay is one of the reasons why people come to the island in the first place. Unlike diving, snorkeling does not require expensive equipment and expert training. This means snorkeling in Boracay can be enjoyed by anyone at any given day. 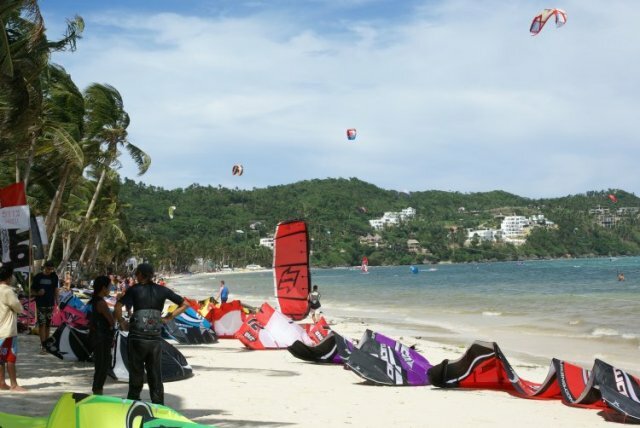 Two of the most popular sports in Boracay are windsurfing and kiteboarding, and they can be enjoyed best at Bulabog Beach, home of international windsurfing and kiteboarding clubs and competitions. But there is more to this beach than these two sports for it to merit the title of the second-best beach in Boracay. A kilometer long, this tourist haven is located at the Eastern part of the Island and stretches parallel to the most popular beach around, the very fashionable White Beach. Travelers should have no problem finding either place, especially as tricycles regularly cut across the island back and forth the two famous beaches for only Php20 or USD0.45. At some points it is even possible to reach one beach from the other by foot. From White Beach’s famous D’Mall, for instance, Bulabog Beach is a mere 5-minute walk. Called the “other side” beach by locals, this spot has beauty and sights to spare, and even matches White Beach’s famed sunset with a magnificent sunrise of its own. There are times when it is used as the point of entry for boats headed to Boracay. Boracay is in Aklan province in the Visayas group of islands in the Philippines and getting to it requires tourists to take a domestic flight to Kalibo, Aklan from either Manila or Cebu. Manila is the capital city of the Philippines, while Cebu is the most important city in the Visayas. From Kalibo, travelers take a shuttle bus going to Caticlan, which has an airport but can only accommodate a few flights. At Caticlan, travelers generally board an outrigger boat from the Jetty Port going to the island of Boracay. During stormy weather, however, the sea between Caticlan and the Boracay seaport can get rough. This is when Caticlan to Bulabog Beach becomes the safer route.